Millions of Americans suffer from the 10 chronic pain disorders listed below. All of these conditions are poorly understood and predominantly affect women. 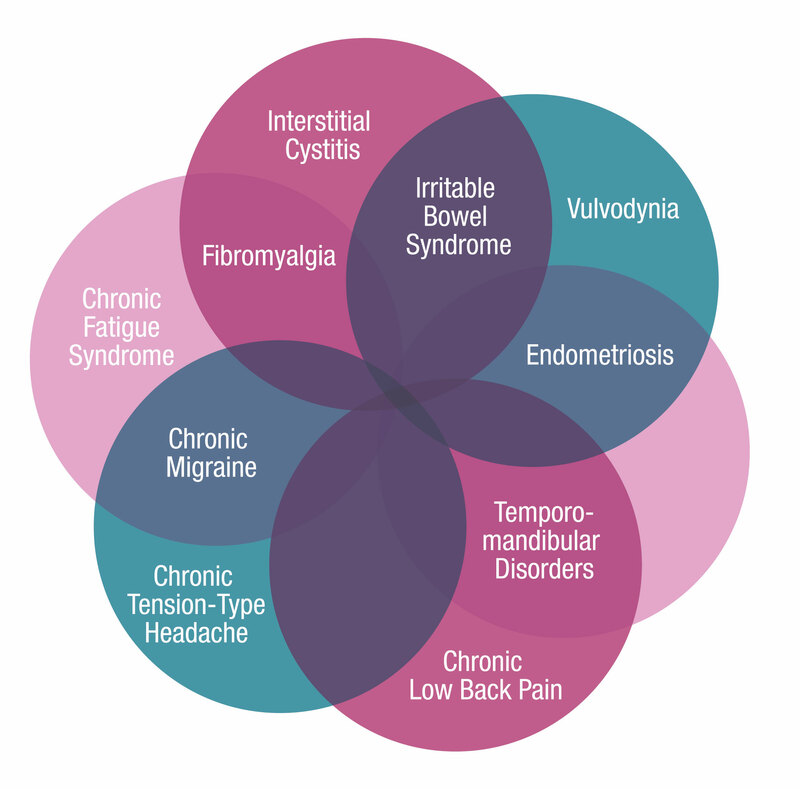 When a person is affected by two or more of these conditions at the same time, they are referred to as Chronic Overlapping Pain Conditions (COPCs). The complexity of overlap among COPCs is shown in this figure. Any combination of conditions is possible. Some people may develop two disorders – either at the same time or over the course of their lives – while others may develop three or more. Learn more about each of the conditions by clicking on their names below.